A sign marks the location of a new CVS pharmacy May 5, 2004 in Chicago, Illinois. The deal is expected to give CVS a bigger role in health care. The Justice Department has approved CVS Health's $69 billion bid to acquire insurer Aetna. To get the merger approved, CVS must divest Aetna’s Medicare Part D prescription drug plan business for individuals, the DOJ said Wednesday. The companies' proposal to divest that business to WellCare Health Plans, Inc., would satisfy the DOJ's competition concerns, the agency said. “The divestitures required here allow for the creation of an integrated pharmacy and health benefits company that has the potential to generate benefits by improving the quality and lowering the costs of the healthcare services that American consumers can obtain," assistant attorney general Makan Delrahim said in a statement. 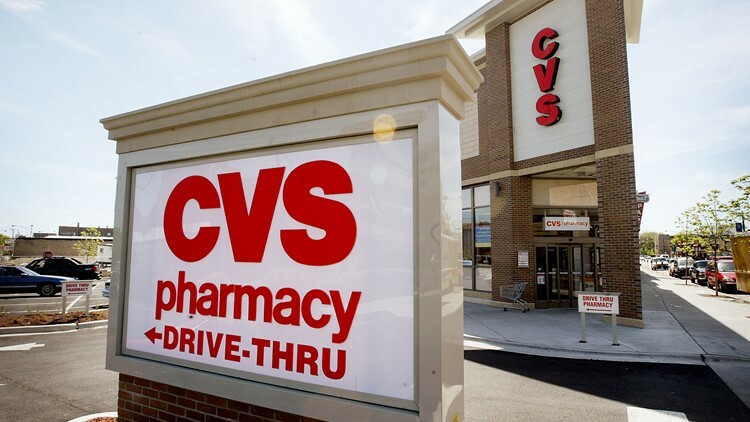 The deal could reshape how many Americans get basic health care as CVS expands its position as a drug store and pharmacy – it has more than 9,800 retail locations – into a destination for health coverage and medical care delivery. CVS covers about 94 million with pharmacy benefits (CVS acquired Caremark for $21 billion in 2017). And it could shepherd more customers into its stores for routine ailments – it already gives shots and vaccinations at some – and away from costly visits to emergency rooms. In the merger, CVS will acquire about 22 million customers insured buy Aetna, which will be run as a standalone business within the company. "CVS Health and Aetna have the opportunity to combine capabilities in technology, data and analytics to develop new ways to engage patients in their total health and wellness," CVS Health president and CEO Larry J. Merlo said in a statement. "Together, we will help address the challenges our health care system is facing, and we'll be able to offer better care and convenience at a lower cost for patients and payors." CVS Health says its acquisition of Aetna, announced in December 2017, is expected to close within the early part of the fourth quarter of 2018.